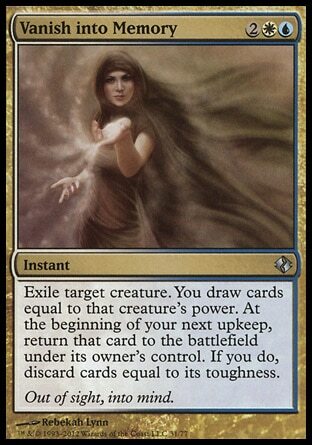 Card Text Exile target creature. You draw cards equal to that creature's power. At the beginning of your next upkeep, return that card to the battlefield under its owner's control. If you do, discard cards equal to its toughness. Flavor Text Out of sight, into mind.